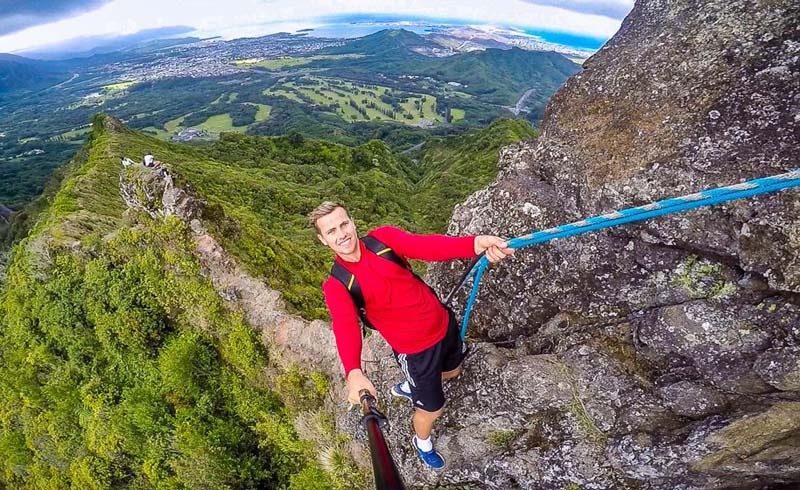 Golf, zip lining, waterfalls, hikes and so much more are part of this action-packed Hawaiian destination. Oahu delivers more action, more entertainment, more nightlife and more golf courses than any other Hawaiian island, and you’ll be sure to find plenty of things to do during your Hawaiian vacation. 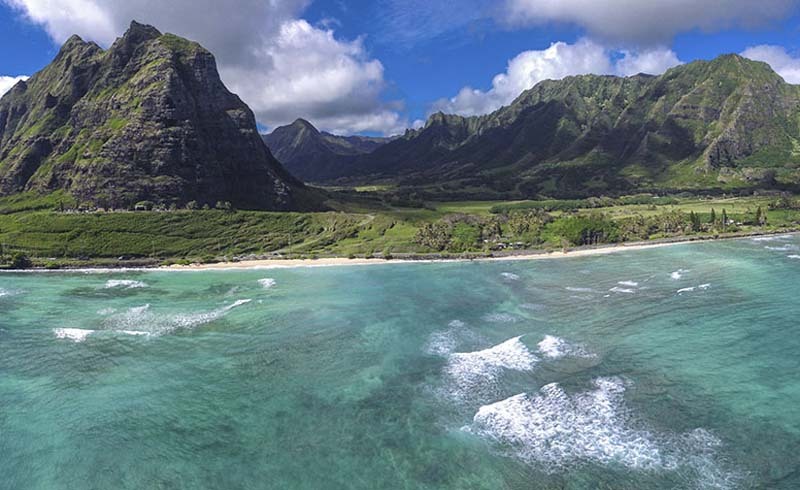 Good for couples, families, groups or even solo travelers with varied interests, Oahu offers a strong mix of attractions, from nightlife to golf, snorkeling to secluded waterfall hikes, that will charm any traveler. If you find yourself wondering what to do in Oahu during your visit, we recommend the following. You can spend all your time surfing at Oahu's world famous beaches, but there is so much more in store for you on this incredible island. CLIMB Works Keana Farms on the North Shore has crafted a unique experience on Oahu: A three-hour tour with eight zip lines — one of which is half a mile long — gives guests not only ocean views, but also green mountain backdrops as well as an aerial perspective of a local working farm. We love that the zip lines are side-by-side, allowing you to scream alongside your spouse, bestie or other travel mate. Do note that zip lining is one of the more popular things to do in Oahu and tours fill quickly, so book at least a week in advance. Many newcomers to snorkeling believe that sandy beaches make the best snorkel spots — after all, they are pretty, right? Instead, rocky beaches are the better pick because there’s less particulate for the wave to stir up, and thus the water stays clear. Plus, rocks and coral heads give fish so much more habitat for feeding and seeking shelter. Thus, our top pick for snorkeling on Oahu is Shark’s Cove, also one of the top-rated scuba dives on Oahu. If you can get past the name of this North Shore spot, you’ll find tons of marine life and occasionally also a green sea turtle. However, the rocks can be a challenge for small kids, in which case we recommend Hanauma Bay on the island’s southeastern tip. If you want to stay on the boat or experience everything underwater, Ruckus Fishing offers the adventure you're looking for. We like that operator Ruckus Fishing runs both scuba and fishing charters, which means they have a more intimate knowledge of the island’s underwater environs. 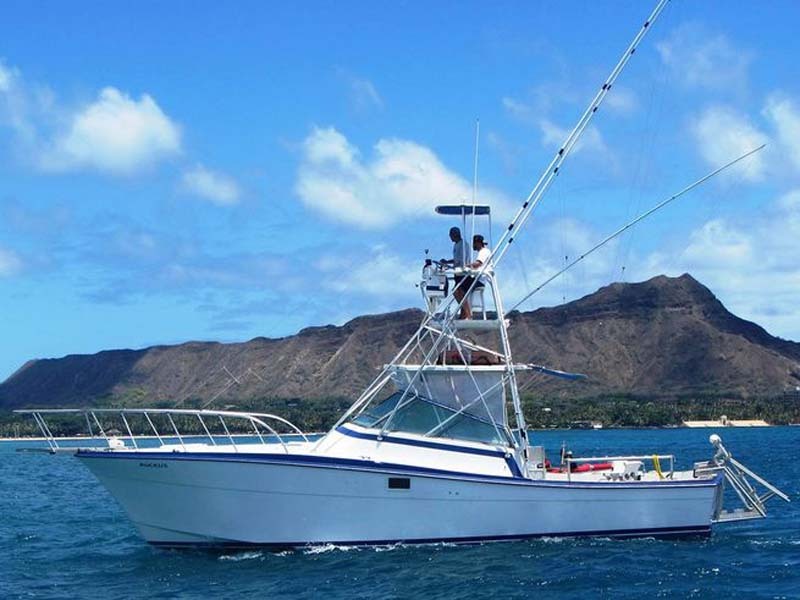 This charter operator helps you reel in everything from striped marlin to blue-fin tuna. The captains are especially helpful, often cleaning your catch at day’s end. Plus, we like that they’re quirky enough to still honor boating superstitions, aka no bananas on board. Oahu is home to more than 40 courses, and our favorite is Turtle Bay Resort’s Arnold Palmer Course. This north shore spot sits along the ocean, but intentional landscaping blocks all but one sea view to keep winds from affecting your mood, er, score. This course is more challenging than some may expect, but we love that the resort readies you for the experience with a hole-by-hole virtual tour of all 18. Oahu packs nearly as many waterfalls as it does beaches, meaning you can choose from quick and easy, to ones requiring a serious hike. Our pick for those willing to take on a 7-hour hike is Laie Falls found 5 minutes inland by car from the town of Laie. The trail is well marked, and leads to falls with a turquoise pool perfect for afternoon dips. If you prefer your scenery that’s more accessible, the 150-foot Manoa Falls just outside of Waikiki is doable for anyone who can walk a 1.6-mile trail. Wild Side Specialty Tours provides an unforgettable whale-watching opportunity for small groups. 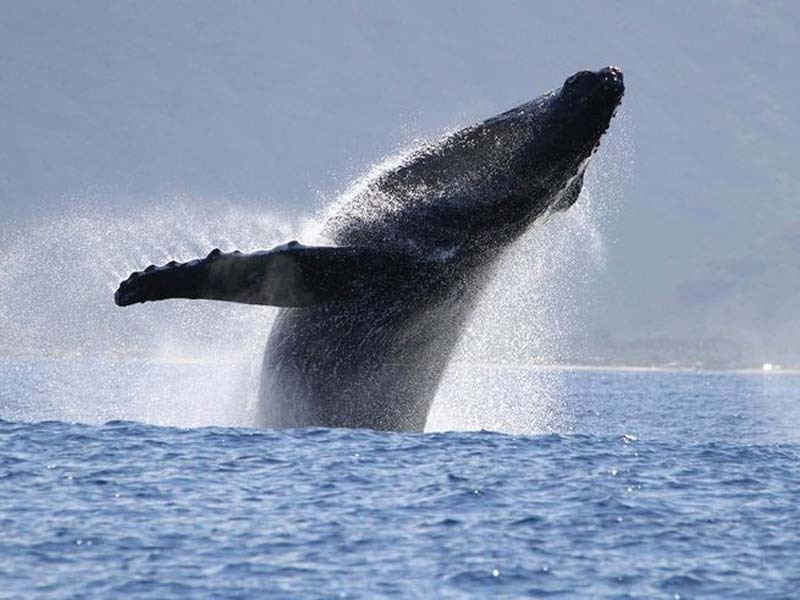 Another one of the more popular things to do in Oahu is whale-watching. December to May, humpback whales descend upon Hawaii for the same reasons East Coasters do: warm water and chance to relax. They’re also there to breed — read into that whatever you will. Sometimes encounters with whales last 30 minutes, and other times just a few moments, which is why we like Wild Side Specialty Tours, which limits their tours to six or 10 people, depending on the vessel. Fewer people make fewer disturbances, and disturbances can spook any animal into taking off. Instead, smaller groups tend to create far less noise and in-water activity, allowing the animals more space to feel safe, and thus stay put. Plus, year-round, the operator includes swims with wild dolphins with all tours, serving as an amazing standalone experience, or unforgettable add-on to a whale encounter. You could make Waikiki Beach the focus of your entire vacation: The strip has one of Oahu’s best beaches, water sport scenes, firework shows and nonstop nightlife. Just beyond the beach, Waikiki is unique for the Duke Kahanamoku Lagoon, which sits just on the other side of a Waikiki Beach proper. This manmade spot is a sure-thing for flat water, making it a choice spot for small kids and first-time paddle boarders. Those who want to paddle board or surf real waves or in the lagoon can rent boards from Waikiki Beach Services, or take lessons for a faster learning experience. When it’s happy hour, you could limit yourself to one tiki bar, or embark on a tiki-bar crawl. We recommend Arnold’s Tiki Bar for the kitsch, Paradise Lounge in the Hilton Hawaiian Village for the elevated beach views and spacious seating, and Rumfire at the Sheraton Waikiki Hotel for the rum menu with 80 choices, plus an outdoor patio and live music. Best of all, end your week with a fireworks show that starts every Friday night at 7:45 p.m. just outside the Hilton Hawaiian Village. Few places in the country allow visitors to pay tribute and honor a war memorial in such an up-close-and-personal way. At Pearl Harbor, visitors can step back in time and what feels like into the skeletal remains of the 608-foot U.S.S. Arizona battleship, bombed in 1941, entrapping 1,777 servicemen inside. Do note, however, that this site is popular, so we recommend making reservations. The trail up this 300,000-old volcanic cone — like a football stadium made by Mother Nature — is described as a hike, but the route, which includes sections of stairs, isn’t designed to be scenic, just direct. The overlook summit offers stunning views of the island and ocean, well worth the 2-hour trek. 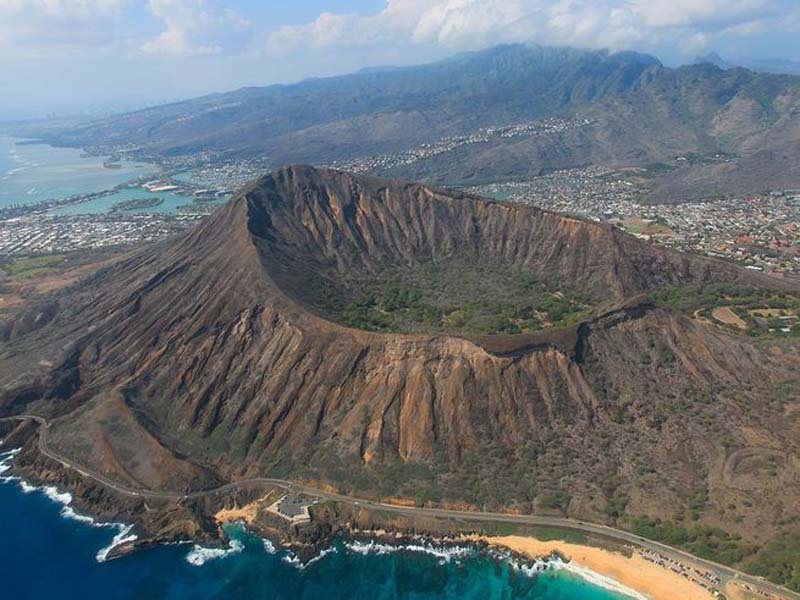 Diamond Head Crater is an absolute must-visit spot for hikers. For those looking for a not-too-challenging hike and overlook of Oahu, try the Pink Pillbox hike. Choose from two routes, one steep and direct while the other zig-zags, making a friendlier path for kids. Both end at the same high summit overlooking the West Side of Oahu. For those seeking a heartier challenge to add to their things to do in Oahu list, head instead to Pali Notches. You’ll need to channel your inner goat to walk the path tracing the ridgeline of green sheer mountains. This is not the island’s easiest hike (see above) but it is one of the most epic, which is why it’s such an Instagram favorite.